Actor "Riteish Deshmukh" on his social media account shared that, "Some adventures need to be experienced. From owning a 'Comic Book' to making a film on it. 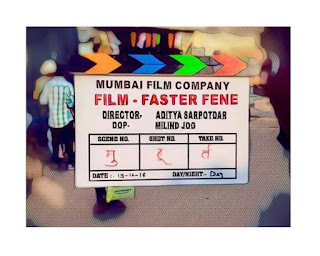 Proud to announce our new Marathi film and an association between "Mumbai Film Company" and "Zee Studios" 'FASTER FENE'". The story of the film is written by 'Kshitij Patwardhan' and directed by 'Aditya Sarpotdar' starring 'Ameya Wagh', 'Prana Pethe' and 'Shubham More'. 'Faster Fene' will be fourth marathi film to be made under 'Riteish Deshmukh' production house 'Mumbai Film Company'. Previous three films were "Balak Palak" which was a very hit film directed by 'Ravi Jadhav', "Yellow" which gained his production house a "Special Jury Award" at '61st National Film Awards' and superhit movie "Lai Bhaari" which was also a debut film of "Riteish Deshmukh" as an actor in Marathi Film Industry.